If it’s true that when we call upon our ancestors they assist us with the skills they were most adept at in the physical plane, the question becomes what will we become ancestors of and what will our descendants call upon us for? Xabiso Vili explores this question with the audience in the hopes that we can better understand ourselves, our collective histories, and our collective futures. XABISO VILI is a performer, writer, TEDx speaker, and social activist, currently working in the City of Tshwane/Pretoria, South Africa. His writings help him explore his inner world so as to be able to relate better to the outer world. He is the Pretoria Spoken Sessions Slam League Champion 2015/16 and the Speak Out Loud Youth Poetry Competition Champion 2015. He has also represented the Eastern Cape in the Lover + Another Regional Poetry Slam 2011, and in 2013 he won the Gauteng Regional Slam and placed 3rd at the South African National Poetry Slam. Xabiso was the Word N Sound Poet-of-the-Year in 2014 and 2015, and won the Perfect Poem Award from Word N Sound in 2016 for Black Boi Be. 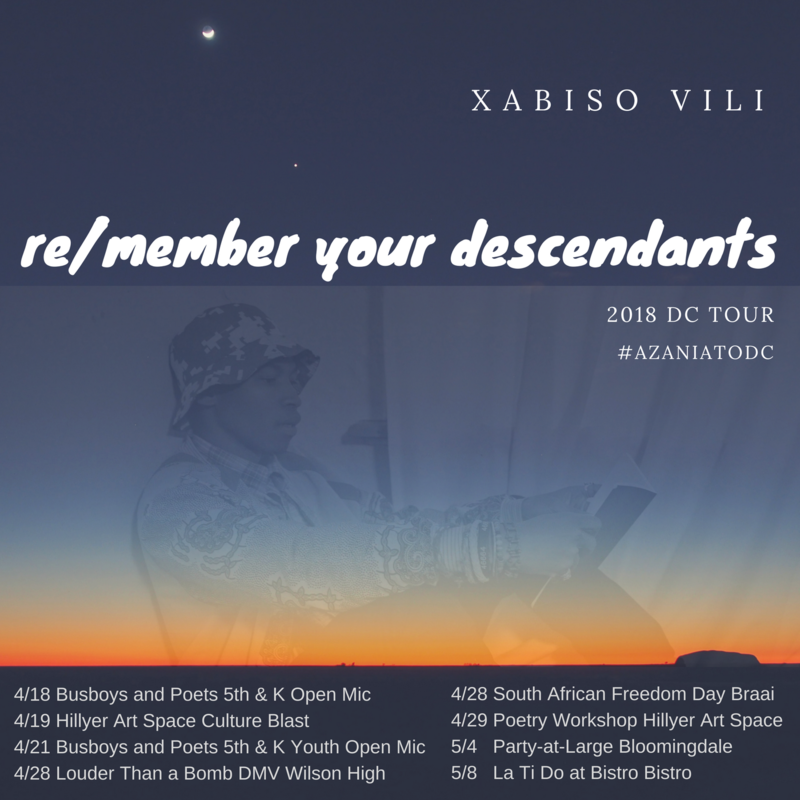 Xabiso has been published in various anthologies and online, including SACE High School anthologies (2008, 2009, and 2010), Black Communion, Poetry Potion, Badilisha Poetry X-Change, Sky and Dust, and most recently, Myesha Jenkins’ To Breathe Into Another Voice. He has performed all over South Africa, including Cape Town, Grahamstown, Johannesburg, and Pretoria, and in the UK, the US, and India. He strongly believes that art influences his community positively and thus is constantly working towards creating alternative stages for art to be shared in innovative ways. 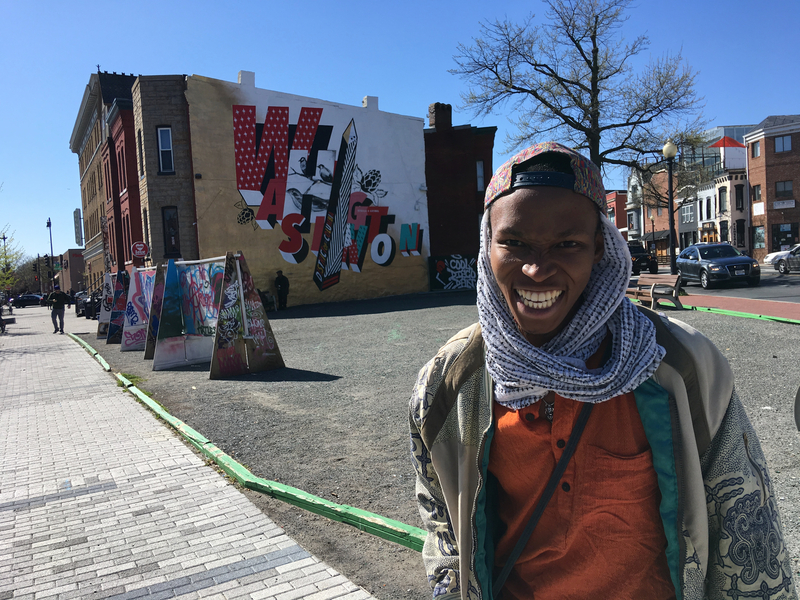 As a teaching artist Xabiso runs writing, performance, and event organizing workshops and has co-founded Scribe Rites, a writing collective aimed at advancing the reach of writing and performance through somatic practices and academic/activist overlap. He also works in abandoned spaces to create art hubs and creative centres of change. He has recently released his African contemporary lounge and spoken word fusion album, Eating My Skin, created in collaboration with producers, the Favela Ninjas. He is now touring his one-person show, Black Boi Be.